In China, biofertilizers/microbial fertilizers are defined as a type of fertilizer that contains living microbial organisms with specific functions (Chinese Agricultural Standard NYT 1113-2006). With overall usage on 2 million hectares, biofertilizers now amount to nearly 10 million tons in volume and 20 billion Yuan in value annually. 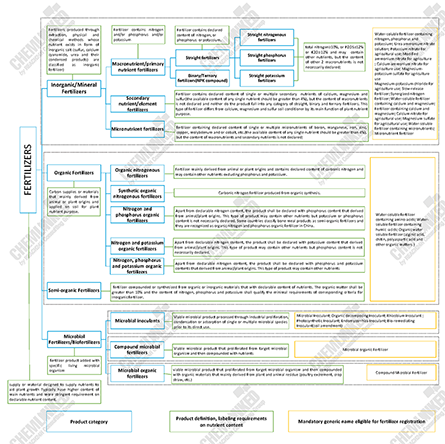 Since the implementation of registration management on biofertilizer in 1996, the regulatory framework for biofertilizers has been basically formed, consisting of a primary overarching (horizontal) standard, microbial species safety standard, product (vertical) standard, method and technical specification. 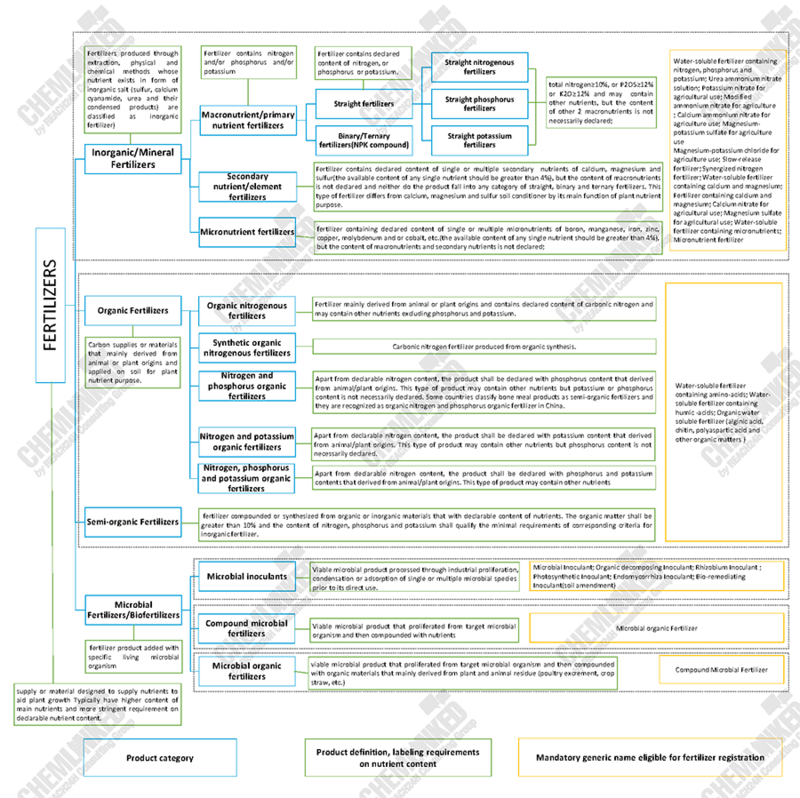 This AgroPedia aims to clarify the difference in product classification through the lens of the most recent regulatory updates and also explain the requirements on safety evaluation, as well as analyzing trends in product registration and regulatory compliance on biofertilizers in China. In 2016, China renewed the national standard on terminology of fertilizer, “GBT 6274-2016 Fertilizers and Soil Conditioners” and issued a national standard on fertilizer classification, “GBT 32741-2016 Fertilizers and Soil Conditioner-Classification”. Most of the contents are transformed from ISO standards and varies slightly in certain product classification. 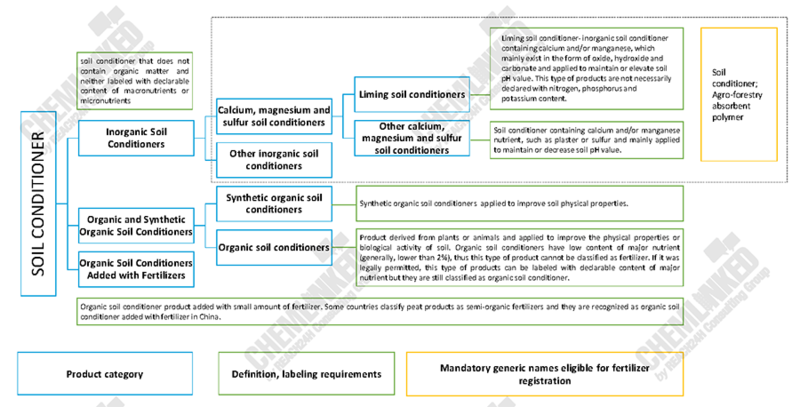 Although fertilizer and soil conditioner differ in claims of main efficacy and nutrient content, both categories can be divided into inorganic, organic and semi-organic types. Microbial fertilizers and subject to further sub-division according to the nature and complexity of nutrient content. Apart from common chemical fertilizers long-term used fertilizers and/or fertilizers established with national or industrial product executive standard exempted from registration and compound fertilizer, formula fertilizers targeting specific region or crop, refined organic fertilizers and seedbed soil conditioner that registered with provincial agricultural department, other products are mandatorily registered with the MoA under designated generic names. Below table summarizes the classification, definition, label claim of products and generic names eligible for registration. 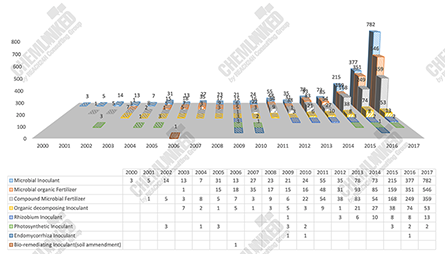 From the above tables we can conclude that fertilizers categories do not always correspond to mandatory generic names, because the final commercial product also differs in raw materials, processing technology, physical state, solubility, application method, releasing rate, encapsulation status and other characteristics and these variations differentially impact agricultural production and environment. To ensure product quality, China has accelerated the selection of technical parameters and development of testing methods and compiled them into a product executive standards as national or industrial standards. Only fertilizers which qualify based on the technical criteria of the standard can be registered under the corresponding generic name. For example, in some countries some humic acid and amino acid fertilizers are recognized and marketed as biostimulants, but these fertilizers are usually registered as water soluble fertilizer containing humic acid and amono acid in China. 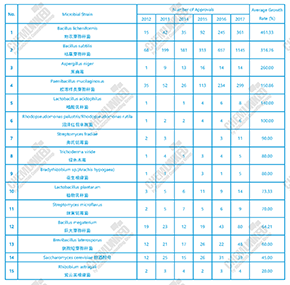 The products must qualify based on criteria specified in two agriculture compulsory standard, the “NY-1106-2010 Water Soluble Fertilizers Containing Humic-acids” and the “NY 1429-2010 Water-soluble fertilizers containing amino-acids”. Otherwise, they can only be registered under another generic name if they meet the corresponding criteria on function claim, declarable nutrient content and other technical requirements. 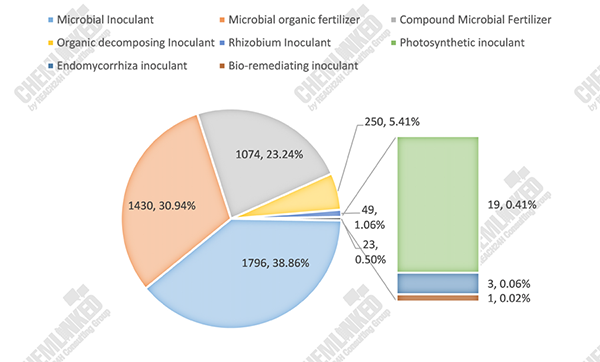 By the end of 2017, over 4,600 biofertilizers using 151 functional microbial species/strains were registered under only 8 generic names by over 1,000 companies. Compared with the procedures and data requirements of chemical and/or organic fertilizers, biofertilizers are subject to stringent safety evaluation including microbial species/strain identification and toxicological tests of functional microorganism and final product. Prior to placement on the market, the strain/species of the functional microorganisms used in all microbial inoculants, compounded microbial fertilizers and microbial organic fertilizers should be identified, requiring an identification report issued by a CMA accredited lab or national authoritative institution. If the functional microorganism was sourced from a national culture collection institution and a safety identification report from this institution was available, the identification test can be exempted. For new microbial strains not yet included into any of the above categories, the test scope will be proposed by the registration technical committee and defined by the MoA case-by-case. Oral toxicity test will be required for the final products of compounded microbial fertilizers, microbial organic fertilizers, liquid microbial inoculants and solid organic matter-decomposing inoculants. NY 1109 specifies mandatory toxicological indicators and only microbial strain qualifies the criteria can be utilized for biofertilizer production (Biofertilizer producers usually source only small number of seed strain and culture them an unlimited number of times. This is very distinct from chemical fertilizer/pesticide where a producer must source the active ingredient for each production of their final product. From my exploration of the regulation, China’s authority believes the even the same strain from different origins may have different toxicity. This concept is very similar to pesticide technical grade active ingredients produced by different producers, which may have different toxicological rating). The microorganism report should be issued by a national level institution and the final product report can be issued by a CMA accredited lab or other labs designated by health authorities at provincial level. 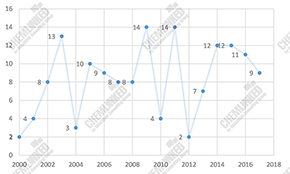 In 2000 and 2002 China issued a series of agricultural standards of 6 inoculants with specific function claims: organic decomposing, rhizobium, photosynthetic, silicate bacteria, phosphate bacteria, rhizobium and, azotobacter fertilizers. These standards specified the strain/strain characteristics and identification of corresponding function microorganisms, quality indicators, limits of harmful substances and microbial contaminants, testing methods and inspection procedures. Inoculants using microbial strains with the characteristics listed above have been registered using generic names. 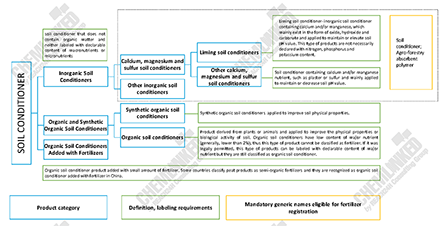 In 2006, China issued national standard GB 20287-2006 which integrates the technical specifications universally applicable to all microbial inoculants and organic decomposing inoculants. If applicants want to register a microbial inoculant under another generic name with functional claims such as organic decomposing, bio-remediating (soil amendment), an additional efficacy trial on crop or target material will be required. 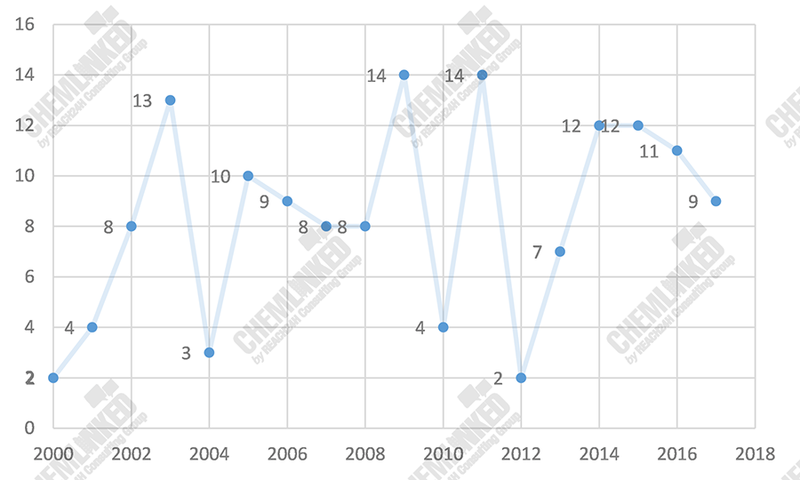 For example, bacillus subtilis was registered as organic decomposing inoculant in 2007, but it was also frequently registered as microbial inoculant in recent years. The former requires an efficacy trail of decomposition effect on crop straw or livestock manure but the latter requires demonstration of nutrient supply/improvement of certain agricultural crops. To reduce experimentation expenses and registration uncertainty, some bio-remediating (soil amendment) microbial products are also registered as a microbial inoculant and marketed only with a brand name which has bio-remediating claim/implication. In fact, these products are not officially and legally recognized as bio-remediating and the differences can be reflected on applicable target/scope, which should be mandatorily included on product label. The applicable target/scope for microbial inoculant is usually a crop grown in soil which is polluted with certain contaminants such as pesticides, hazardous chemicals or industrial wastes. 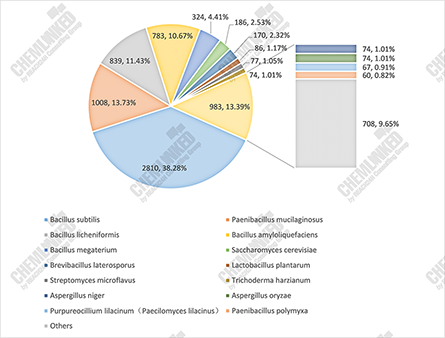 Up to now, microbial inoculant accounts for almost 40% of the registrations, followed by microbial organic fertilizer (31%) and compound microbial fertilizer (23%). The numbers of newly approved microbial inoculant and microbial organic fertilizer more than trebled from 2015 to 2017 and new approval of compounded fertilizers also doubled. 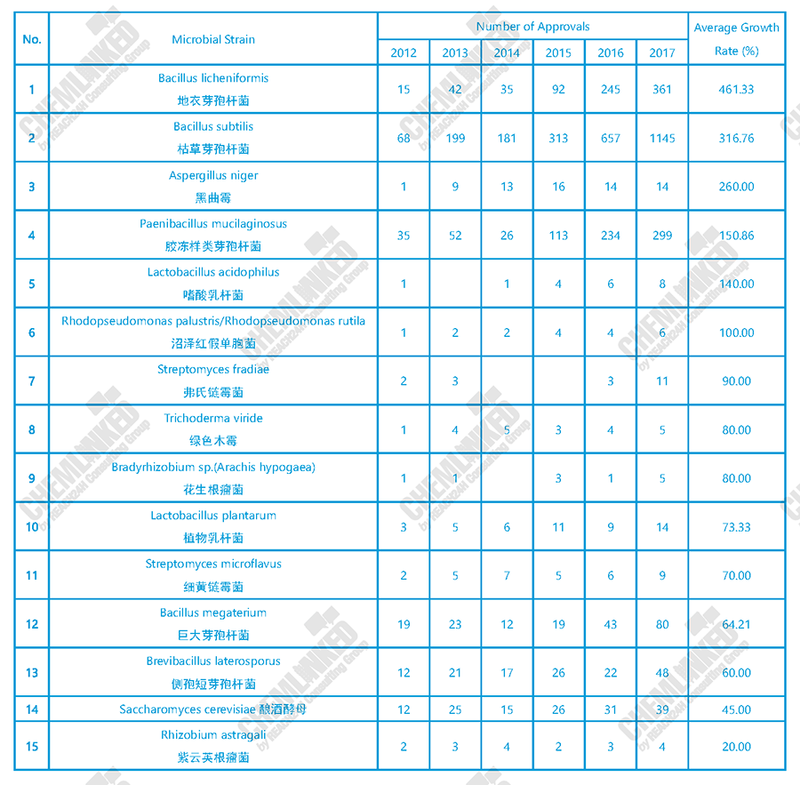 Bacillus subtilis, Bacillus licheniformis and Paenibacillus mucilaginosus are the top 3 microbial strains used in biofertilizers, ranging from single-strain product or multiple-strain in different combinations, of which 50% are registered after 2012. 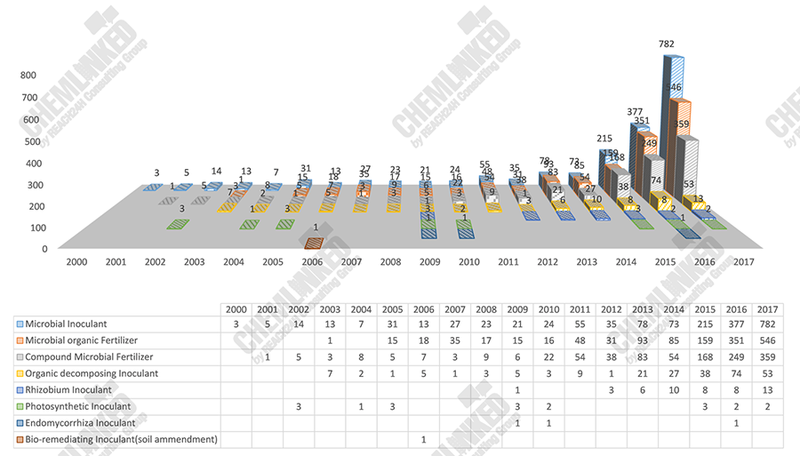 33 new stains have been approved since 2015. Comparing with chemical and traditional organic fertilizers, the functions of biofertilizers are based on the inherent characteristics of the microorganisms present. Biofertilizers are affected by viable number, metabolism, temperature, soil acidity and nutritional condition, interaction of microbial species, etc. Thus the short term ROI (Return-Over-Investment) of biofertilizers is inferior to chemical fertilizers and traditional organic fertilizers. Currently in China, the sector accounts for 7% of fertilizer application and accounts for a volume of 100 million tons per year. China now realizes the consequence of excessive use of pesticides and chemical fertilizers and an “Action Plan for Zero Growth in the Application of Pesticide and Chemical Fertilizers” was launched in 2015, offering great opportunities for bio fertilizers. In the “National Development Plan for Bio industry”, biofertilizer has been included into the development action plan for agricultural biological product. Biofertilizer with activities including drought and disease-resistance, nutrient activating, azotification, straw decomposing, herbicide-degradation and soil improvement ability will be prioritized. Hemolysis test would be required for all sporogenic strains. Gather efficacy data/test report and discussed during a biannual meeting on a case-by-case basis. The first option can be regarded as a faster route to evaluate products until China adopts more stringent nomenclature and labeling regulations. The second option is still legal but there is a great degree of uncertainty surrounding this evaluation system until China clarifies criteria for these special function products.